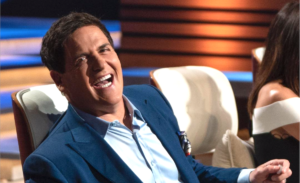 During a recent panel at SXSW 2019, Mark Cuban spoke with Recode Media’s Peter Kafka about AI, investing and — what we’re most interested in — how he maintains his spry energy at 60 years old. Here’s a transcript snippet with the juicy bits from the A&Q portion of the interview…or you can hear the entire podcast below. Peter Kafka: He’s got blood boys backstage. Mark Cuban: I’m serious! No. I try to work out. I try to watch what I eat. I do get my blood tested every three to six months, so I have baselines and that’s helped me learn a lot about my body. I just try to be smart. Peter Kafka: No, that’s your phone. Mark Cuban: Sorry about that. You’d think I’d know how to turn this off by now. Peter Kafka: No, that’s all right. Eat well, get new blood. Anything else? Mark Cuban: It’s interesting. As you get older, your body is more receptive to vitamins and food and all these different things, allergies I never had until I hit 35 and 40. It’s really interesting to try to figure some of these things out. I don’t think there’s any cure for aging and I don’t know if it’s gonna happen in my lifetime. But I will say this. My son is 9 and by the time he’s 40, let’s say, the idea of going to a drugstore and buying over-the-counter medicine that says, “You might be the one unlucky schmuck that dies from this,” is gonna seem barbaric. We’ll have personalized medicine. What medications you take will be geared toward you, because our body is just one big math equation. These are all the different variables and so we’ll figure out how to solve problems in a lot of different ways than we do now. What steps are you taking to improve your life span? Let us know on Facebook!